As snow falls in the mountains, it becomes more difficult for deer to find food so they return to the valleys in search of sustenance. Arborvitae are among the favorite treats for deer. 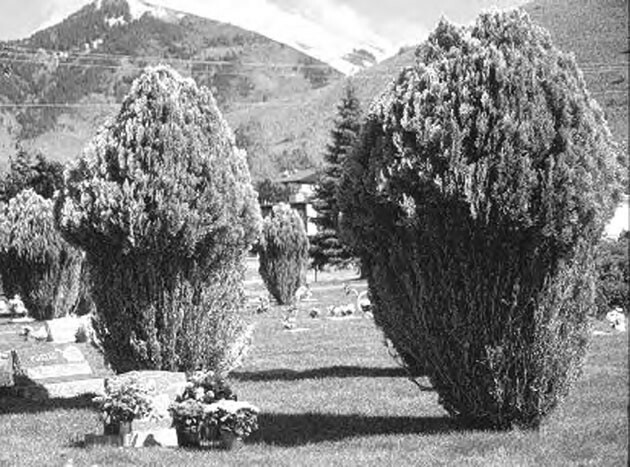 The Tooele City Cemetery, located near Little Mountain, is a favorite target resulting in an array of snowcone-shaped arborvitae plants. In the summer months, my grandchildren have enjoyed looking out of my kitchen window at a mother deer and her fawn as they graze serenely on the lawn next to the house. It is a pretty, pastoral scene, except that I know what else they are up to. They and their half dozen cohorts — the herd grows yearly — are feasting on my grapevines and fruits, raspberries, strawberries, squash, tomatoes and fruit trees. I have tried slamming doors and yelling out windows at them. They look up with mild interest, make eye contact only if it is convenient, and then go back to their dinner. Only if I go outdoors do they bother to move, and then they stroll only a few yards before they stop to look back and see if I am still coming. If I stomp my feet and run a few yards, they may flip up their tails and go bounding off through the fields. Deer have a bad habit of showing up and providing unwanted help with the pruning of shrubs particularly, but not exclusively, at the edges of towns. As browsers it is in their nature to chew on branches, twigs and leaves, but their diets are not limited. In some cases, people provide an open invitation to wildlife by feeding them. The animals return to the areas where they received free food. Some feeding is unintentional. Elk and deer consider haystacks a treasure trove. Many farmers on the outskirts of town and in outlying areas lose substantial amounts of hay to the foraging of herds of these animals. Historical reports say the deer population in Utah was much lower at the time the pioneers arrived while the populations of elk were much higher because the Native Americans would set fire to the valleys to burn up the sagebrush and encourage the grass to grow, which was perfect for the elk population and less perfect for deer. It all has to do with habitat. This was great news to pioneer settlers whose task of providing food for themselves and the masses of settlers who would follow relied on good land in a desert environment. That land additionally had to provide feed for livestock. Because of its waving mass of grasses, Tooele Valley was primarily used for grazing in 1847 and 1848. 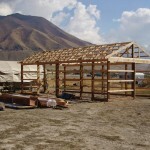 In 1849, LDS Church President Brigham Young sent the first settlers, John Rowberry and Cyrus Tolman, to Tooele Valley with herds of cattle and sheep. Phineas R. Wright and Cyrus and Judson Tolman were hired by E.T. Benson to run a mill built by Big Creek (the Settlement Canyon stream). Of course, the intrusion of people resulted in displacing animals from their natural forage. It is a recurring story today, but we are probably more invasive than our ancestors. People move into a nice, unspoiled area alive with wildlife. Land levelers come in, the vegetation comes down and homes go up. Then people move in with their tractors, noise, vehicles and fences. Many natural animals will leave and find another home away from the humans, but there are some animals that manage to adapt. They stay around, do well and cause problems for people. Deer are among them. They do tend to move to the hills, but as the human population encroaches, they return to the populated areas of the valleys and become quite comfortable there. They are not above dining on the tender branches of fruit trees, landscape shrubs and flowers or garden plants. They graze as high as they can reach in evergreens, and trample flowerbeds and bushes. Notice the arborvitaes at the Tooele City Cemetery. They have the look of a bowl haircut — closely shorn around their lower branches as high as the marauding animals can reach — and by lifting up on their hind legs if necessary, deer can reach high. Deer seem to prefer Austrian, scotch and mugo pines and will chew the bark and young twigs off fruit trees. Damage to these trees may take the entire summer to rejuvenate. The arborvitaes never seem to fully recover. They are also fond of junipers, euonymus, barberry and pyracantha bushes. Homeowners often find themselves replacing trees and other landscape plants in the spring. Deer will dig through the snow for the tasty flavor of tulip bulbs and pansies. Altogether too often, deer will make a banquet of hundreds of dollars worth of tulips. They do stay away from daffodils. In fact, they will go through a bed inter-planted with daffodils and tulips and pick out the tulips and leave the daffodils behind. How they know that these plants are poison is an interesting question, but they do know. What to do? You can’t kill them out of season and never in town. Repellents are only somewhat effective unless there are alternate food sources available, because the animals are desperately hungry. If the animals are repelled from one yard, they simply move on to the next. If they have already invaded your yard, they know what goodies are available there. Commercial repellents such as Kindred and Ropel are of limited effectiveness. Cold snowy weather covers their natural food sources and drives them down from the mountains. Their drive to eat exceeds their repulsion to bars of soap, hot peppers mixed in eggs, blood meal, or stinky or obnoxious compounds that people concoct. People have tried everything with limited success. They put lion dung from zoos or human hair around their yards. Flashing lights, scarecrows and wind chimes are effective for only a few nights, before the animals catch on to the trick and learn to ignore them. If they want to be there badly enough, nearly nothing will deter them. They get used to people so they don’t necessarily go away in the summer, either. With a what-have-I-got-to-lose attitude, I put a deer repellent around my vegetable garden for the last two summers. It consists of a long piece of string and some plastic vials that clip onto it. The vials contain something that emits the smell of garlic. I open the top of the vial and the smell wafts out for the entire summer. I string it around the garden as a fence at two heights and they have stayed away. Apparently deer don’t care much for garlic. There is plenty of food in Erda’s agrarian environment so they move on. They don’t go away, but they have left my garlic-enclosed garden alone. They still eat my grapes and fruit trees that aren’t in the garden area and they still eat and bed down in the fields of grain and alfalfa, but they have stayed away from the garden. My son in Tooele tried a different approach. He has found that deer are quite fond of green beans and will pull up entire plants to eat them. He planted some around the edge of the garden and put an electric fence through them. When the deer bend to browse, they get a shock on their nose. To no one’s surprise, they don’t like it, so they move on. 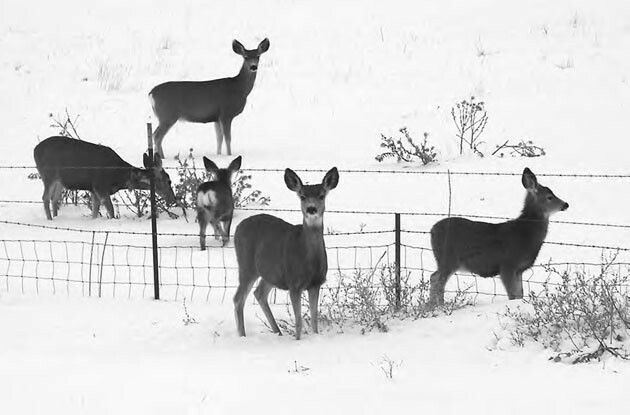 The very best deterrent to deer invasions is a high fence. However, most of us are somewhat friendly with our neighbors and don’t relish having a 10-foot high barbed wire fence completely around our yard. 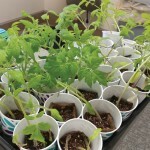 A better approach is to select plants that are deer resistant. The most resistant plants such as daffodils and oleander are poisonous. Some plants are poisonous at all times and others only at certain stages of growth. 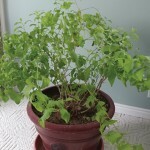 Other plants bounce back quickly from damage. Although the deer are browsing among the trees and shrubs in the local canyons, our summer picnics are still in the shade of healthy trees and surrounded by healthy well-growing plants. Among them are spruces, firs, Norway maples, cottonwood, scrub oak, rocky mountain maple, narrow leaf cottonwood, euonymus, red osier dogwood, choke cherries and potentilla. Other plants resilient enough to bounce back quickly after winter grazing are grace serviceberry, cliff rose and sages. Many of the native plants in local mountains fit that description. Look there for those plants that thrive year after year. These are the ones that can withstand the browsing of deer and elk and will bounce back.